It’s the biggest night of the year. The student’s look forward to this night since the first bell! 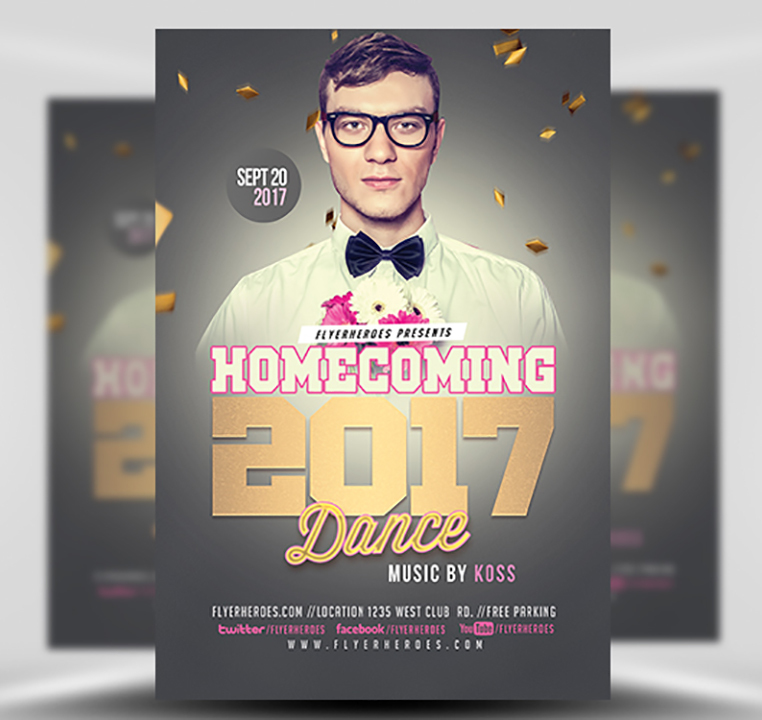 Make sure this year’s homecoming dance is as memorable as it can be – and promote your upcoming school dance with the Homecoming Dance 2017 Flyer Template from FlyerHeroes! A handsome young gentlemen approaches the girl of his dream, flowers in hand and the big question on his li0ps. He’s front and center, capturing the attention of the viewer. Then, with the expert design, use of negative space and clash of colors, along with the incredible typography, their attention is one all the details of the homecoming dance. You can re-arrange this flyer with our professionally organized layers, and add in all the details your students may need! Add some social media connections to get the excitement going! 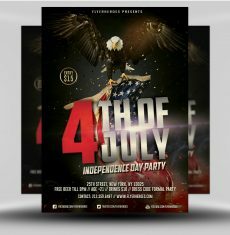 Designed with high-quality images and ease of use in mind, this flyer can be yours today so you can start promoting this big event! 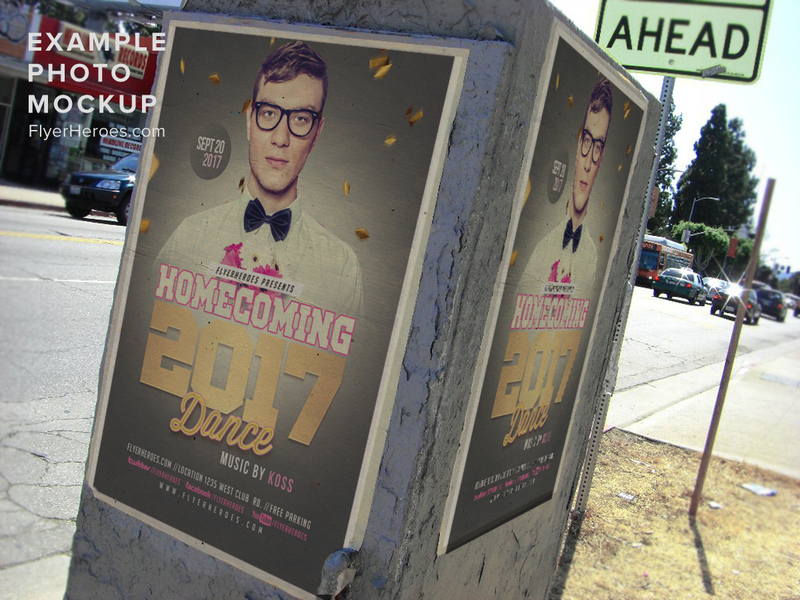 The Homecoming Dance 2017 Flyer Template is available at FlyerHeroes! This year’s homecoming will be the best ever! 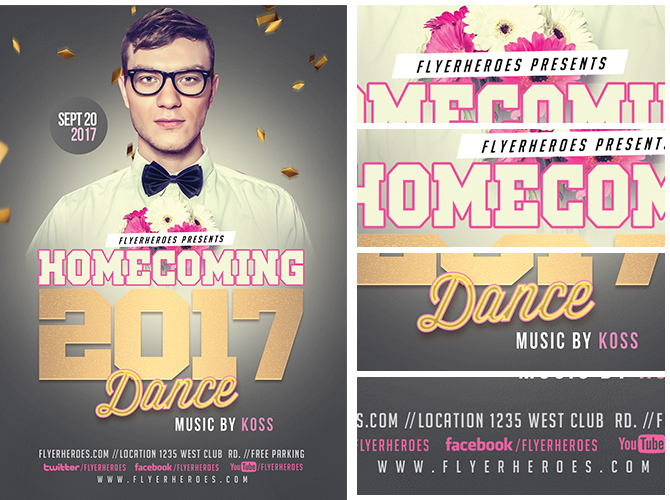 And it’s all thanks to the Homecoming Dance 2017 Flyer Template from the pros right here at FlyerHeroes! 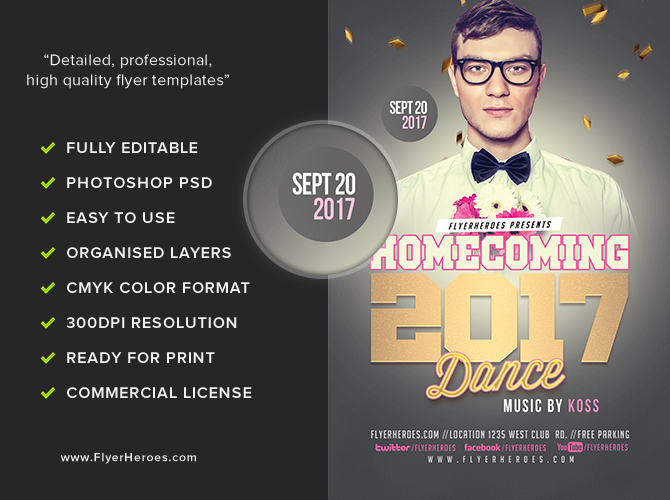 Homecoming Dance 2017 is a premium Photoshop PSD flyer / poster template designed by FlyerHeroes to be used with Photoshop CS4 and higher.